Take your digital music collection to another level with High-Resolution Audio. By capturing music at a higher rate than CD (up to 384kHz/32-bit, rather than 44.1kHz/16-bit), High-Resolution Audio allows you to get closer to the original studio recording and enjoy your music just as the artist intended. With a dedicated USB DAC amp built-in, these headphones take over control of the digital-to-analogue conversion process from your device, then amplify sound using an integrated amplifier. The signal stays digital for longer, only converted to analogue when it reaches the drivers for unmatched clarity and accuracy. By linking up digitally, each piece of music will sound consistent, whichever device is the source. Be well-connected. Listen to music from your PC, Xperia Smartphone, Walkman, or iPhone using one of the supplied digital connecting cables. 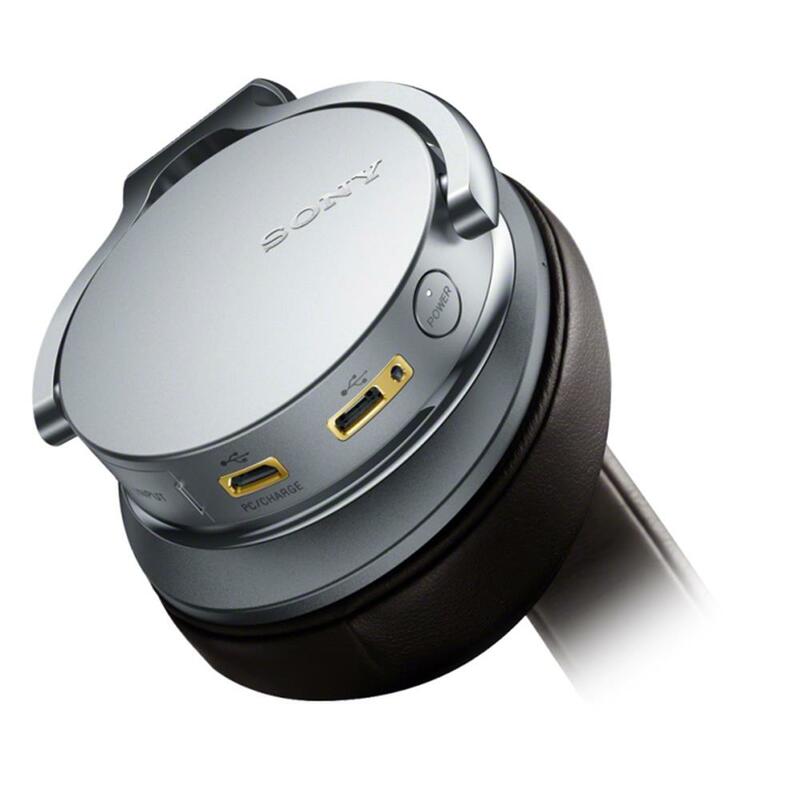 Or connect to other players using a standard 3.5mm stereo audio cable. Auto Select switches seamlessly between inputs for effortless connections. Powerful 40mm HD driver units with large vents enable the headphones to deliver punchy, rhythmic bass on even the most demanding track. Turn up the volume and hear clear, precise sound across the spectrum. With a high sensitivity of 102dB/mW, these headphones are highly efficient in converting electricity into acoustic signals. This means you'll hear a louder sound across the entire audio spectrum (compared to less sensitive headphones) when listening to music through the same source and at the same volume level. The wide-band frequency range - spanning 3Hz to 100kHz - is designed for today's broad variety of music styles. The 3Hz low end of the frequency range offers more than enough latitude for even the deepest sub-bass notes. At the 100kHz high end, you'll be able to enjoy vocal melodies, subtle audio harmonics and tonality, giving your music more life and realism. An aluminium-coated, liquid crystal polymer diaphragm gives a more consistent sound across the entire frequency range than a conventional driver. Sound energy lost during transmission to the headphone housing is more uniform, ensuring an authentic performance. You'll also enjoy a flatter frequency response, even when listening to the ultra high frequencies of High-Resolution Audio. Pure, unfiltered sound. By using a simplified signal path and full digital processing, S-Master HX technology is able to amplify sound signals in digital without first having to convert them to analogue. This means signals maintain their purity right up to the final speaker output, so you can enjoy a more realistic and balanced sound experience. Soft leather earpads with pressure-relieving cushions have been designed to rise and shape around your ears, ensuring a comfortable fit. 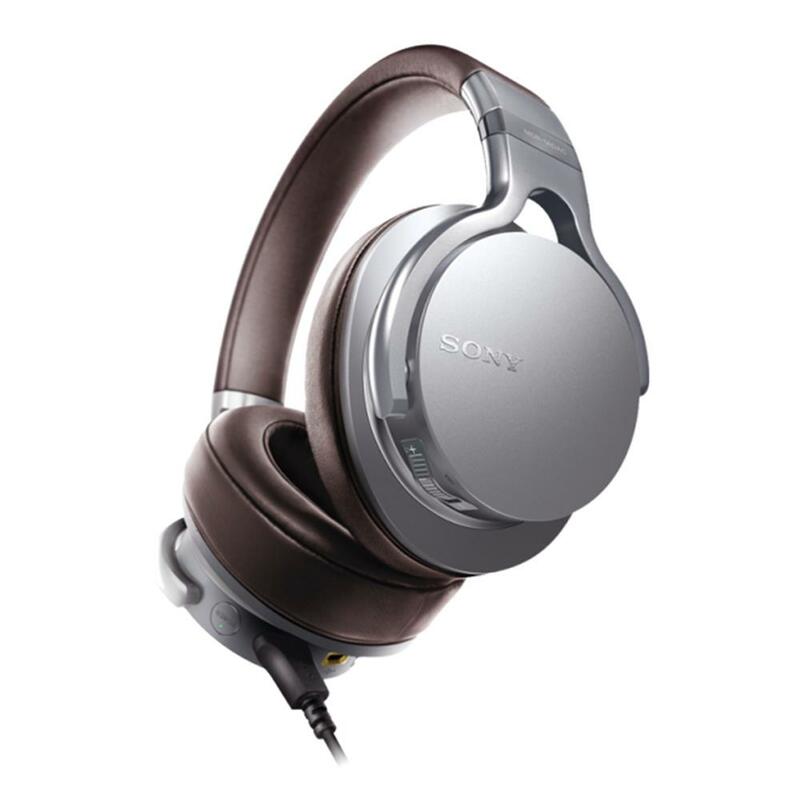 Smooth materials and discrete sewing provide a harmonious mix of comfort and durability for long hours of listening. With support for both DSD128 (Direct Stream Digital) and 192kHz/24-bit PCM (Pulse Code Modulation), you'll enjoy a much truer representation of the original sound across all frequencies. DSD128 captures and reproduces sound at an ultra high frequency up to 128 times that of CD using a 1-bit stream for natural sound with a wide dynamic range. PCM 192kHz/24-bit samples at over four times the bitrate of CD with each sample more accurately represented by 24 bits. Keep your headphones powered up and ready to go using the micro USB port. You can listen for up to 8 hours on a single charge - that's enough power for a full nine-to-five day.